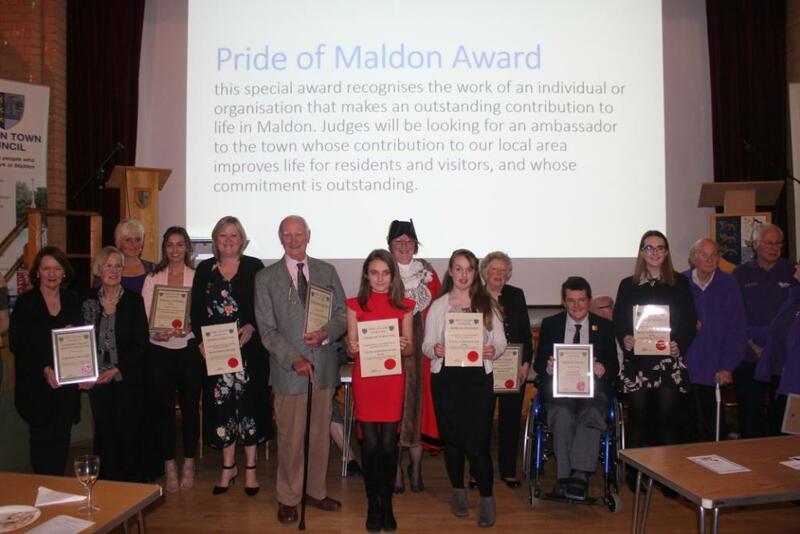 In an evening buzzing with excitement and anticipation to rival the Oscars, the first ever Pride of Maldon Awards presentation evening took place on Friday night under the watchful eye of Master of Ceremonies, Cllr Mark Heard. 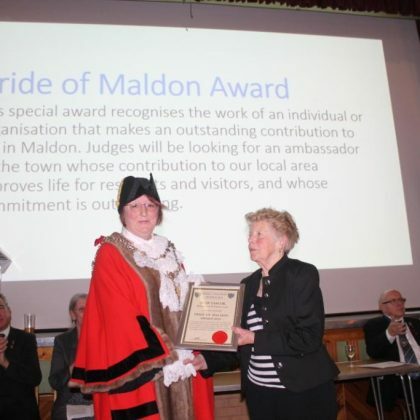 The Town Mayor, Cllr Jeanette Stilts had invited more than 100 local volunteers to join her in celebration of the inspiring work of all those unsung heroes in Maldon whose quiet work behind the scenes contributes so greatly to the Maldon community. 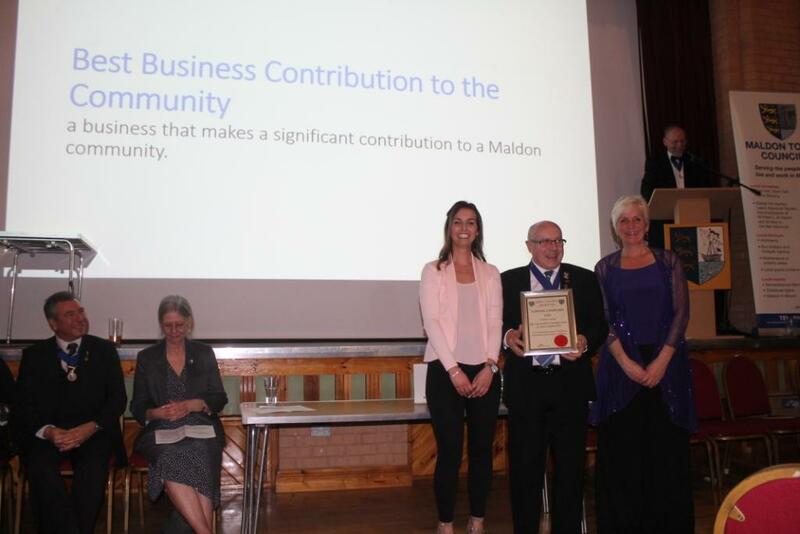 Guests were treated to a Turkish buffet provided by Sark Restaurant and drinks provided by the Mighty Oak Brewing Company and Tesco. 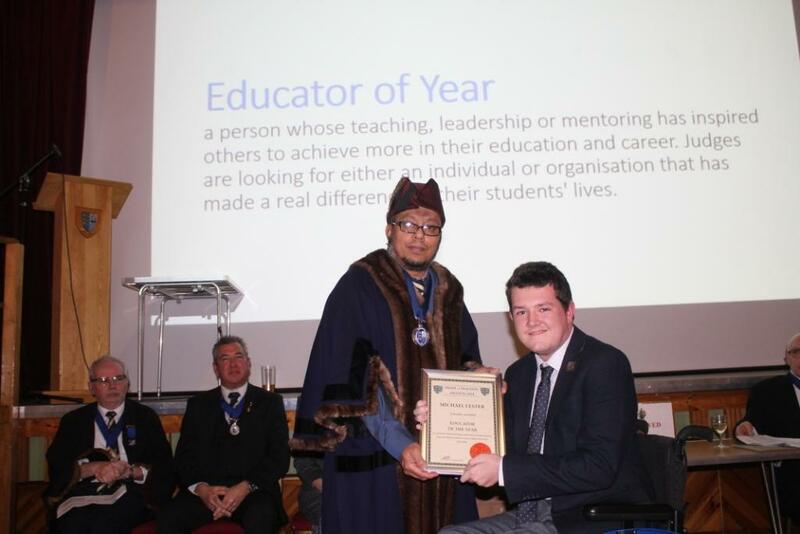 With more than 70 nominations to choose from, the panel had a hard job narrowing it down to just 9 awards. 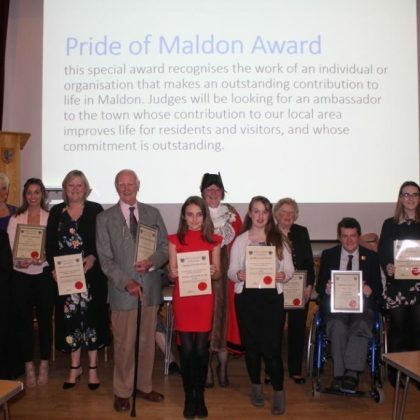 Following an inspiring speech about what makes Maldon so special from Carl Wakefield, Principal of the Plume Academy, the prestigious PRIDE OF MALDON AWARD 2018 was announced by the Town Mayor, Cllr Jeanette Stilts, and was awarded to Julie Taylor, who manages the friendly community café at St Peter’s Hospital, which is the hub of the hospital. 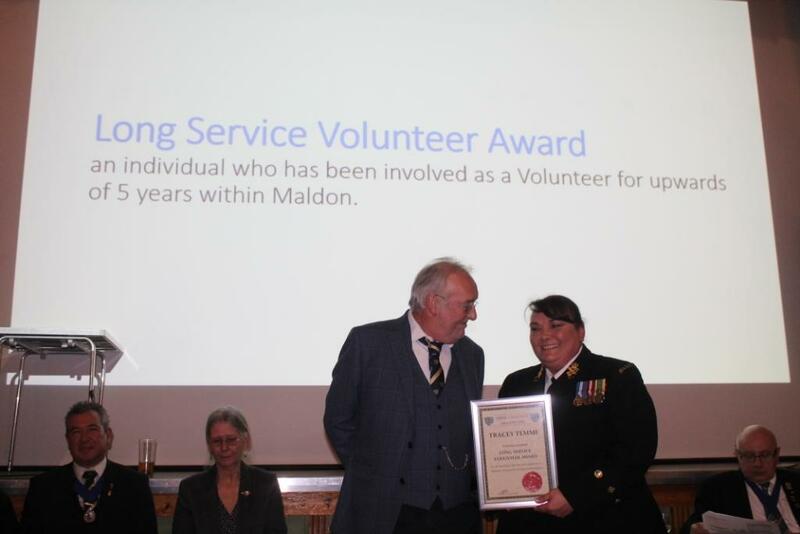 Julie and her volunteers are a life line for the lonely, the elderly, their carers and for those with mental health issues such as dementia. 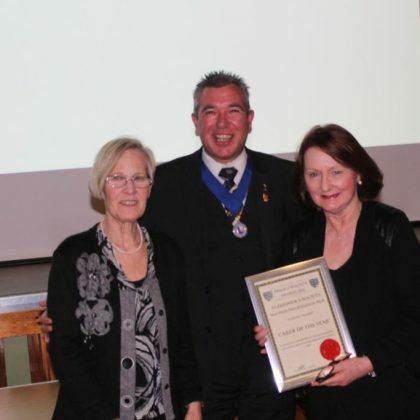 Her Food and Toiletries Bank helps families and pensioners. 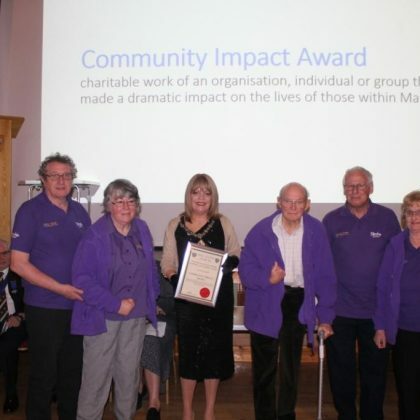 Julie and her volunteers not only cook and serve, but also hold fund raising activities such as raffles, parties, prize bingo, a library, knit and natter groups and support local charities. 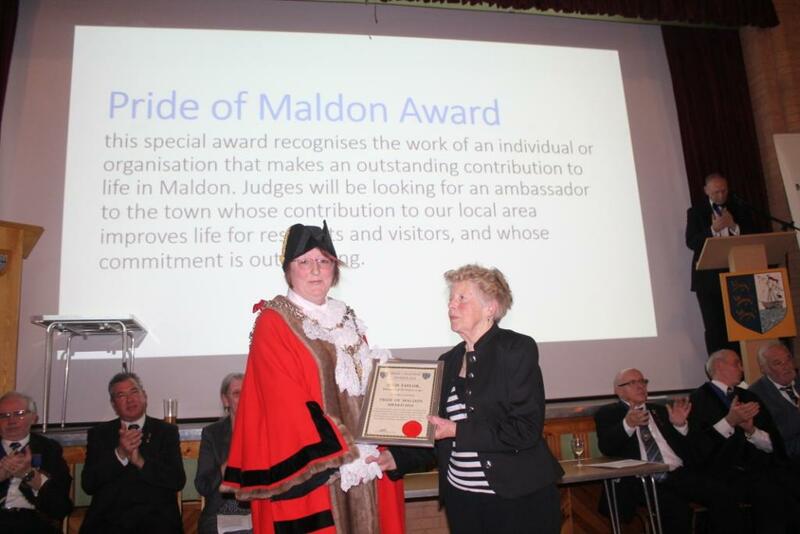 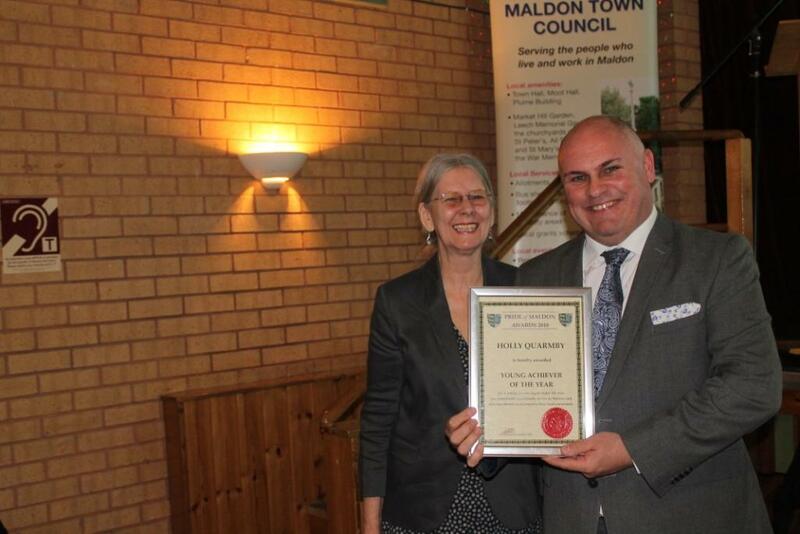 As the Mayor said, “we should all be proud of Julie Taylor, for without her, Maldon would be so much the poorer”. 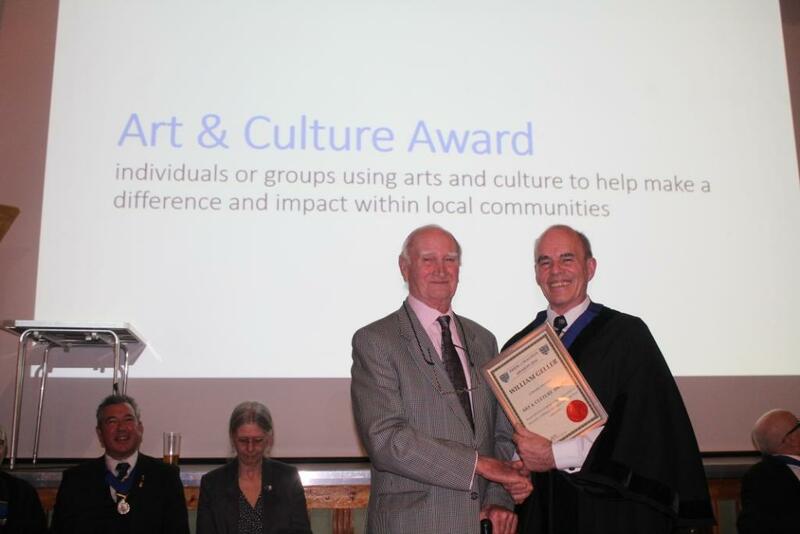 CITIZEN OF THE YEAR – introduced and presented by Cllr Stephen Nunn to Albert Kilby whose selfless efforts over many years have left a lasting impression on the lives of others. 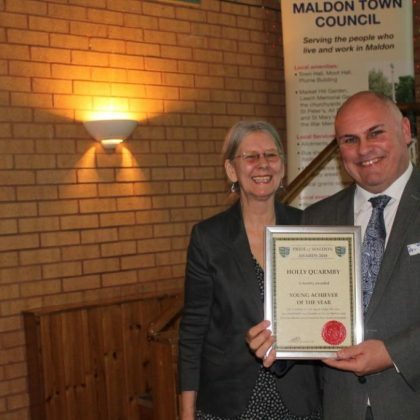 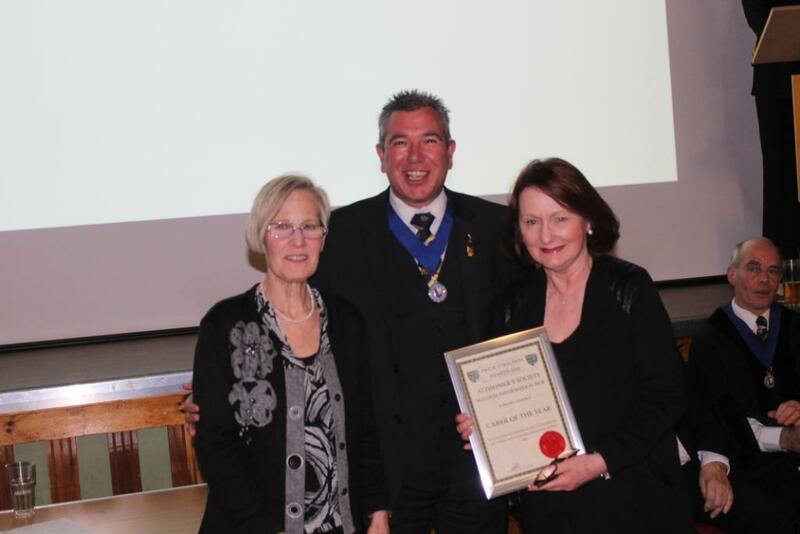 CARERS OF THE YEAR – introduced and presented by Cllr Richard Miller to Karen Petch and Sharon Markham from the Alzheimers Society Maldon Information Hub which provides support and friendship to people in the local community affected by dementia and their carers. 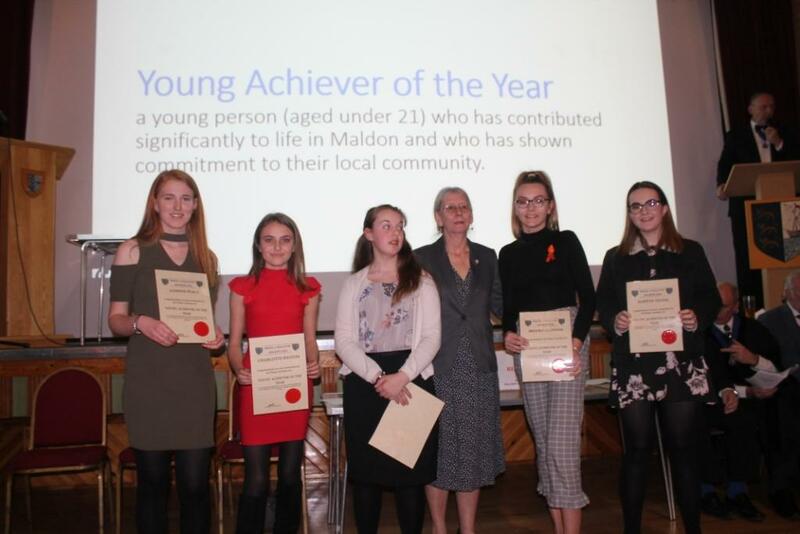 YOUNG ACHIEVER OF THE YEAR – introduced by Cllr Flo Shaughnessy and presented to Carl Wakefield on behalf of Holly Quarmby, a Plume Academy student, who raised a significant sum taking part in the British Cancer Research Event “Race for Life”, and inspired other to join in with her fund raising efforts. 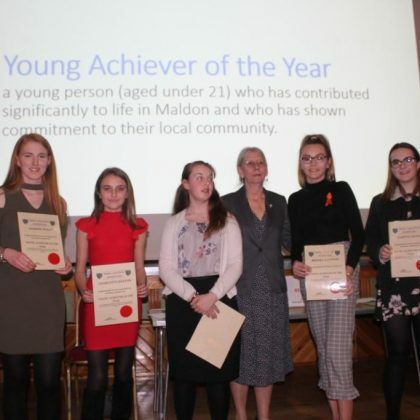 Certificates for the other nominatees for this awards were presented to Plume Academy students, Brooke Claydon, Isabelle Chapman, Charlotte Batson, Jasmine Peace and Elspeth Ayling. 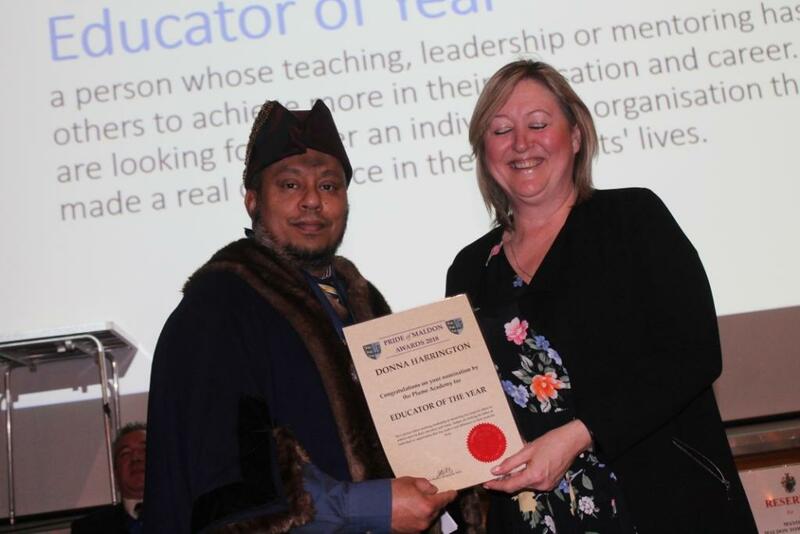 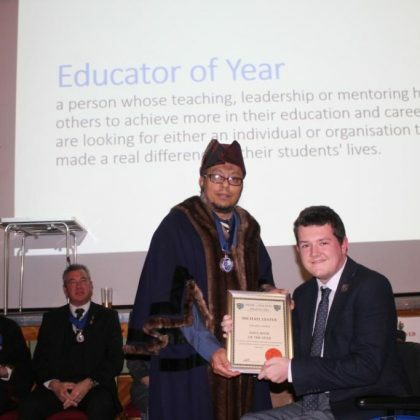 EDUCATOR OF THE YEAR – introduced and presented by Cllr Jhual Hafiz to Michael Lester, for his outstanding teaching and support to foreign languages and mathematics students at the Plume Academy. 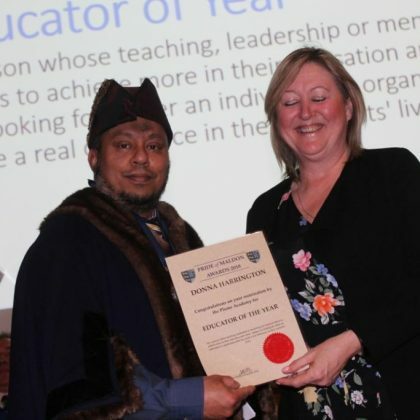 Donna Harrington from the Plume Academy was also presented with a certificate for her nomination for this award for her work in the school. 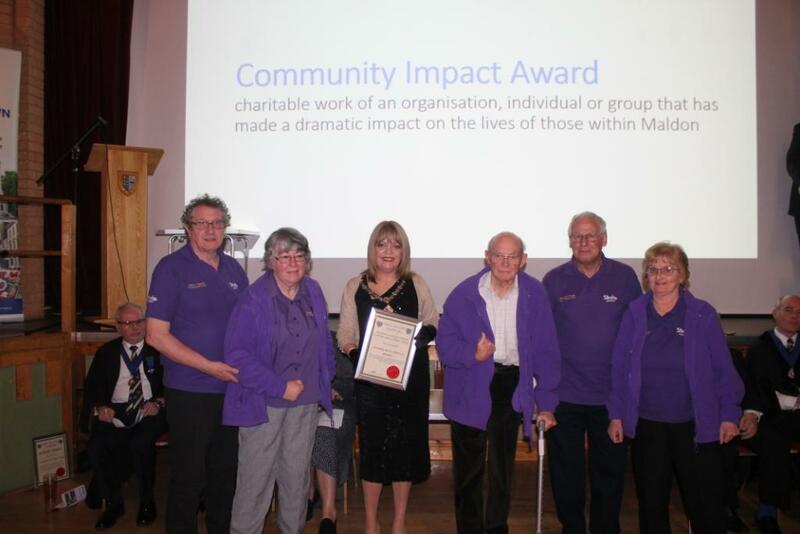 COMMUNITY IMPACT AWARD, given to the charitable work of a group that has made a dramatic impact on the lives of those within Maldon was introduced and presented by the Town Mayoress, Hilary Miller, to the Maldon & Dengie Stroke Support and Carers’ Group for their huge contribution to the social, mental and physical welfare of an increasing number of local people who have suffered a stroke. 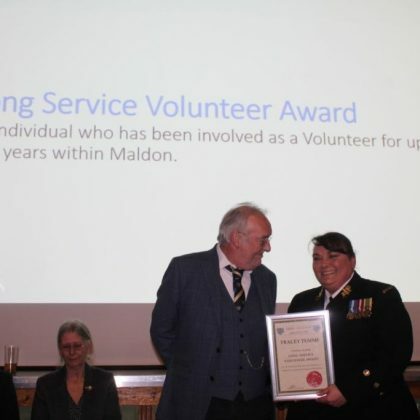 LONG SERVICE VOLUNTEER – introduced and presented by Cllr David Ogg to Tracey Temme for her volunteering with the Sea Cadets, and particularly the Maldon Branch and the environment created by the Sea Cadets which gives the local youth and environment to improve their qualifications and social skills and to learn a sense of responsibility and confidents. 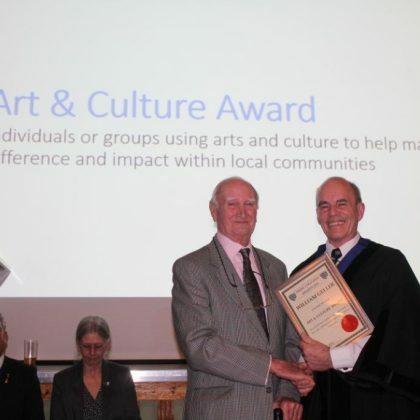 ARTS & CULTURE AWARD – introduced and presented by Cllr Peter Stilts to William Geller who has supported the Maldon Art Club and Friends of the Moot Hall tirelessly over many years, using his skills from a lifetime in art and design. 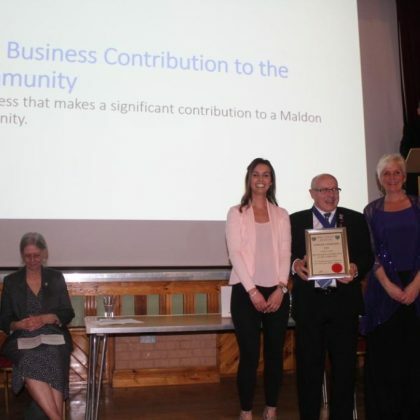 BEST BUSINESS CONTRIBUTION TO THE COMMUNITY – was introduced and presented by Cllr Neil Pudney, Vice Chairman of Maldon District Council, to Topsail Charters Ltd who are a massive part of the local community, attracting tourists to the town and providing youth employment and training in skills associated with barge sailing, maintenance and catering.